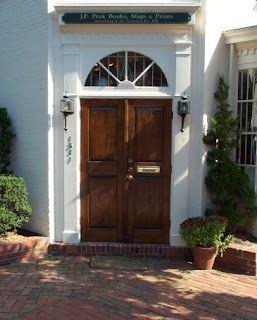 Anyone ambling along the side streets of Georgetown in Washington, DC, between 1985 and 2002 might have had the pleasure of stumbling upon J.F. Ptak Science Books. It was a cozy, welcoming sort of independent bookstore, and the owner, John Ptak, took great pride in his specialty: "unusual, rare and unique material in the sciences and the history of science." Needless to say, much of that material dealt with the history of physics. It was a sad day for science buffs when the store closed its doors six years ago. But now Ptak Science Books has risen like a phoenix from the ashes, finding renewed life online! That's right: John Ptak has gone digital. You can browse the Website at your leisure for books on every conceivable scientific subject, as well as antiquarian prints and maps from the 16th through 19th centuries. There's even a healthy stock of digital historical images available for downloading. And the best part: John Ptak has a blog. His posts (he calls them "essays") explore "the history of ideas -- unusual connections in the history of science and mathematics with the arts and social history." It's a fascinating foray into the world of arcane science history, complete with little-known details and anecdotes and some truly stunning images. His latest post is the first in a new series on the "Pre-Histories of Great Ideas" -- in this case, Benoit Mandelbrot and the Fractal. Stop on over and browse and bit. We welcome John Ptak to the science blogosphere.